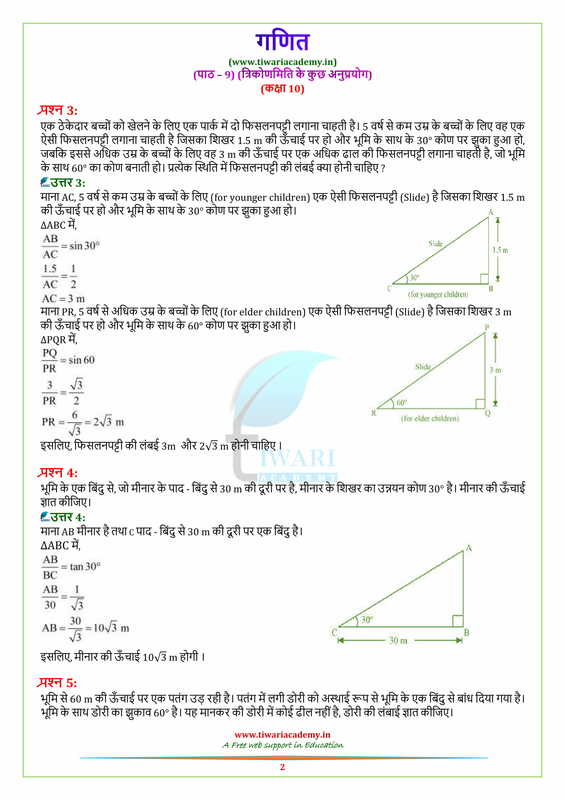 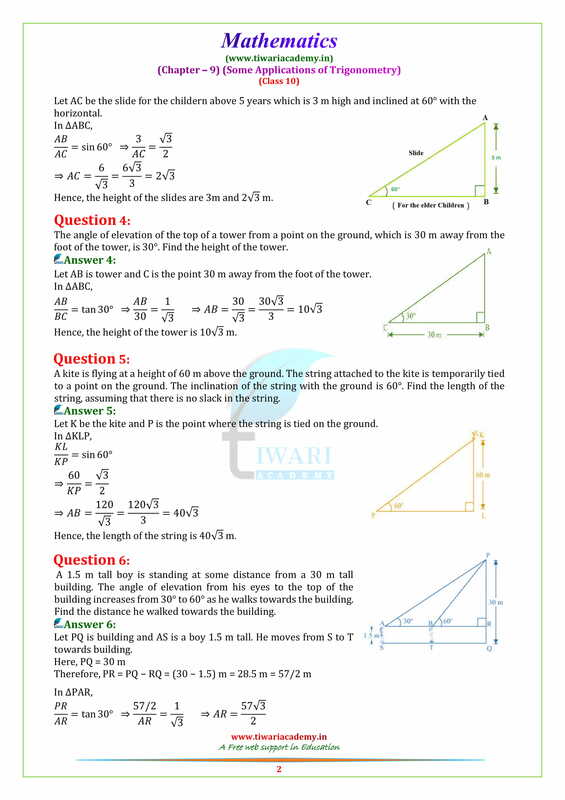 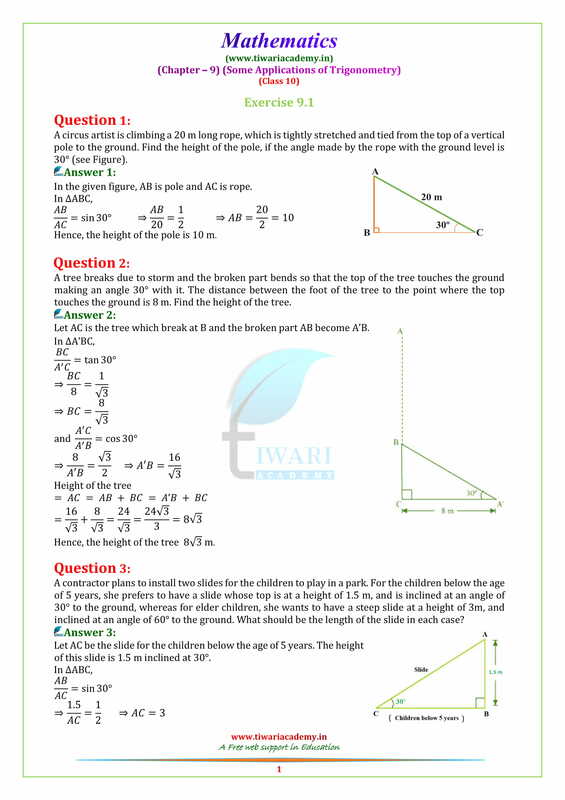 NCERT Solutions for Class 10 Maths Chapter 9 Exercise 9.1 questions 1, 2, 3, 4, 5, 6, 7 and 8 in English Medium and Hindi Medium PDF form online or download in PDF format. 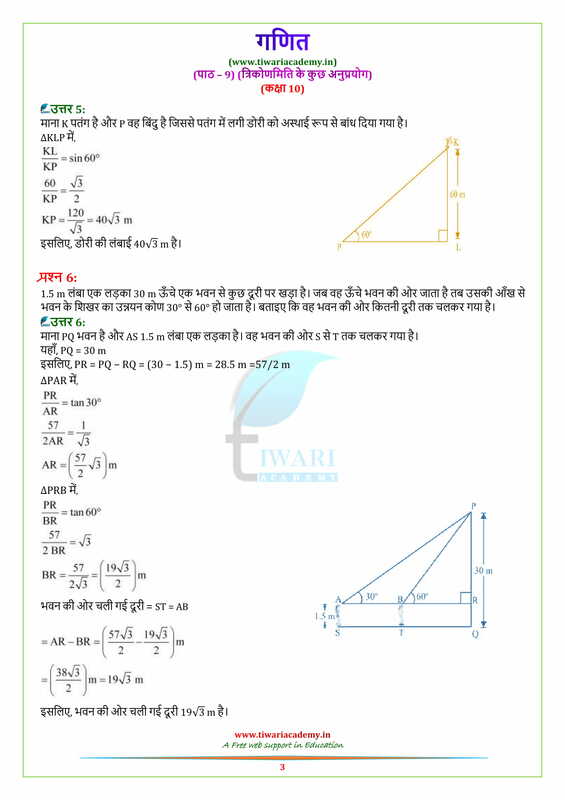 NCERT solutions for class 10 all subjects. 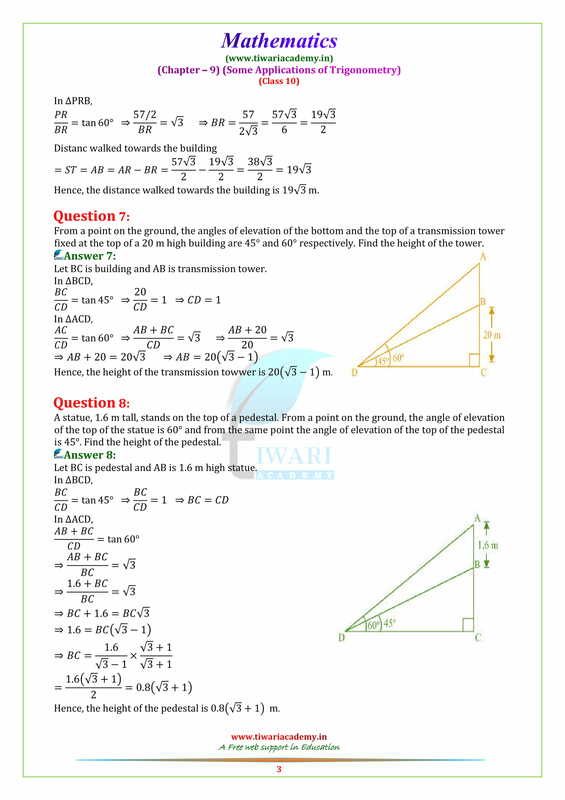 Download Exercise 9.1 questions 9, 10, 11, 12 ,13 14, 15 and 16 in PDF form.